Take flight into a world of your thoughts! 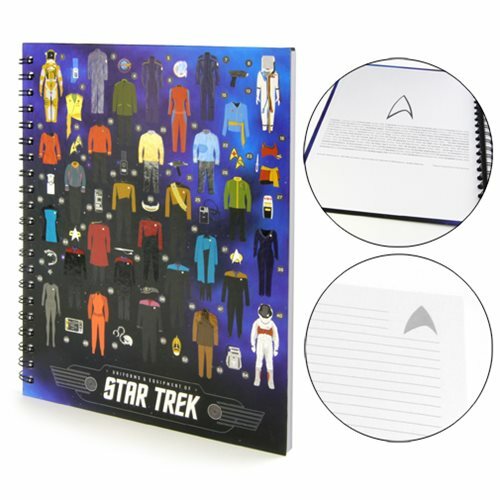 This notebook features illustrated cover artwork representing uniforms and equipment from all eras of the Star Trek universe. Complete with spot-gloss detailing for the cover art, the journal includes 200 lined pages with themed imprints on each page. The Star Trek Uniforms and Equipment Hardcover Notebook measures approximately 8 1/2-inches wide x 11-inches tall. Ages 15 and up.